Perched on a bluff where the Russian River meets the sea, Jenner offers one a chance to connect with nature along the Sonoma County coast, and stunning sunsets of course. Each spring, an estuary here is home to seals, pelicans, great blue herons, and other wildlife. 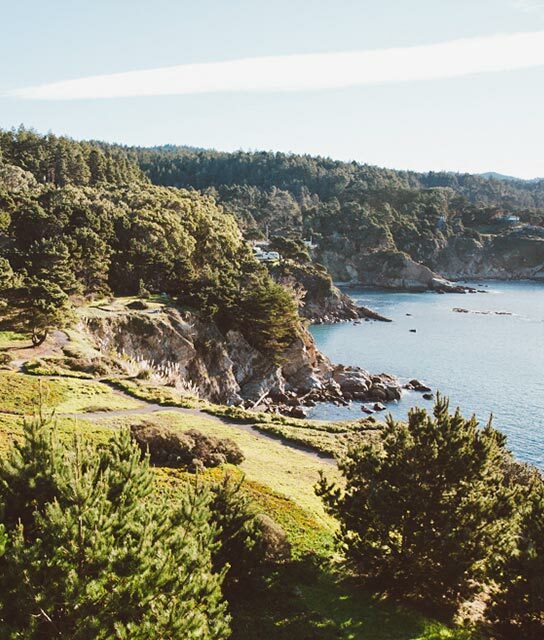 The Sonoma Coast lends itself to scenic coastal drives, but take a moment to enjoy the stunning nature here along the miles of hiking trails, picnicking spots, or from one of the world-class Sonoma County wineries and restaurants. Each July, the Sonoma County Fair is a must for visitors with carnival rides, food, music, and horseraces. There also the Sonoma Valley Harvest Fair in October for all the oenophiles out there. Set on California’s ruggedly cinematic coastline, Timber Cove Resort is a 1960s icon, reimagined, reanimated, and authentically reborn.